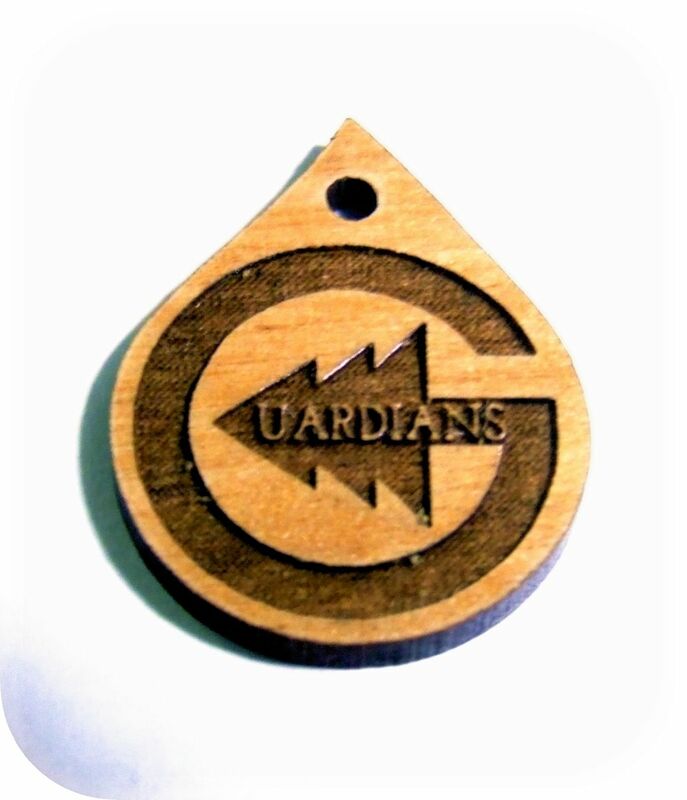 Laser engraved and laser cut charms with logo. 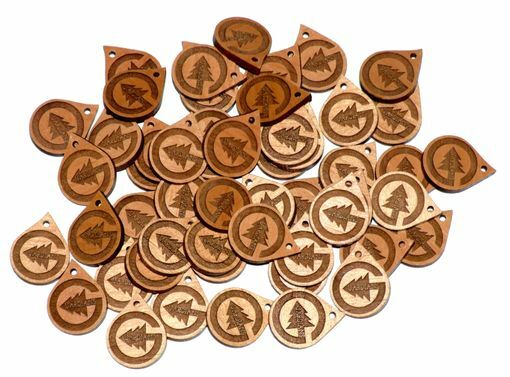 The charms are made from solid finished alder wood 1/8 inch thick. The size is approx. 1 x .75 x .125 inches. A hole is laser cut near the top for attachment. The engraved charms will retain the color of natural engraving and natural wood. The edge is laser cut and retains the color of natural burnt wood. The edges are burnished. Was great! Remi even included a few extra for free.